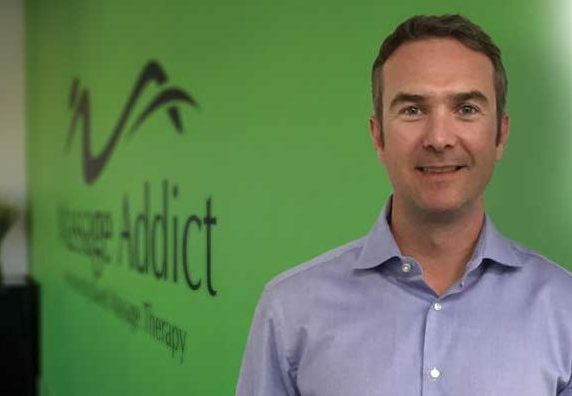 With a passion for health and wellness, Fraser Clarke jumped when the opportunity arose in 2014 to acquire Massage Addict, a Canadian franchise concept that had been hot ever since appearing on CBC’s Dragons’ Den in 2011. He moved the corporate headquarters (HQ) from Halifax to Toronto and has since more than tripled the size of the system. “I’ve really just continued to execute the business model as it had originally been developed,” he says. Clarke first learned about Massage Addict in May 2014 from a business associate in Toronto. The timing seemed perfect for expansion, as the public’s awareness of the health benefits of therapeutic massage was growing. In the wake of the Dragon’s Den episode, inquiries had come in from prospective franchisees across the country, which required additional time, effort and investment to respond to and manage. The purchase represented an opportunity to meet such demands and centralize system-wide activities, such as marketing, that had previously been addressed as joint responsibilities with franchisees. Clarke closed the deal in August 2014, enhanced support for both current and incoming franchisees and set up new corporate headquarters (HQ) with office space for most of the senior management team at Yonge Street and Eglinton Avenue in uptown Toronto. “It’s close to where I live,” he explains. Further franchisee support is provided with a new training facility in nearby Mississauga, Ont. He also opened a corporate-owned (i.e. non-franchise) Massage Addict location just a few kilometres north of the Toronto head office. Today, there are 17 corporate-owned Massage Addict clinics across Canada.